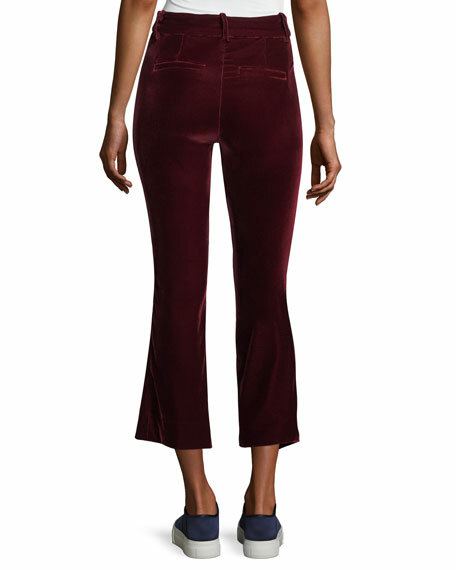 Derek Lam 10 Crosby velvet trousers. For in-store inquiries, use sku #2325030. 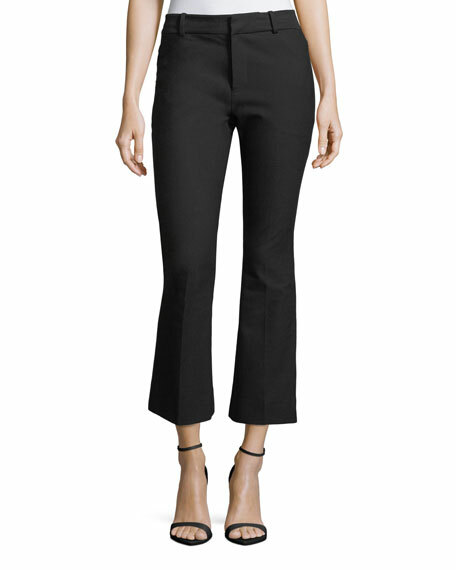 Derek Lam 10 Crosby linen-blend trousers. Approx. measurements: 9" rise; 26" inseam; 34.5" outseam; 17" leg opening. Slit pockets at hips. Relaxed fit with flare legs. 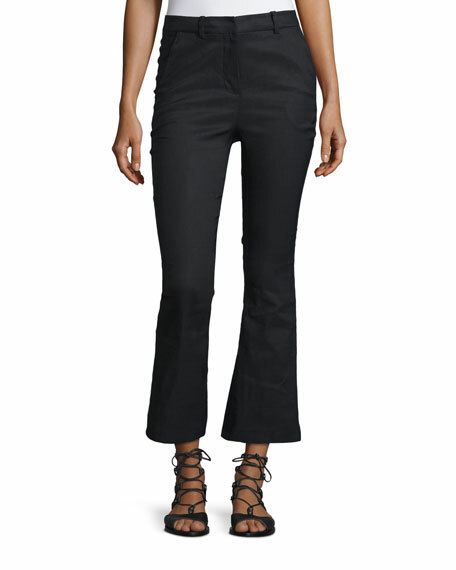 Hem cropped above ankle. Hook-eye/zip front; belt loops. Linen/nylon/spandex. Imported of Italian material. 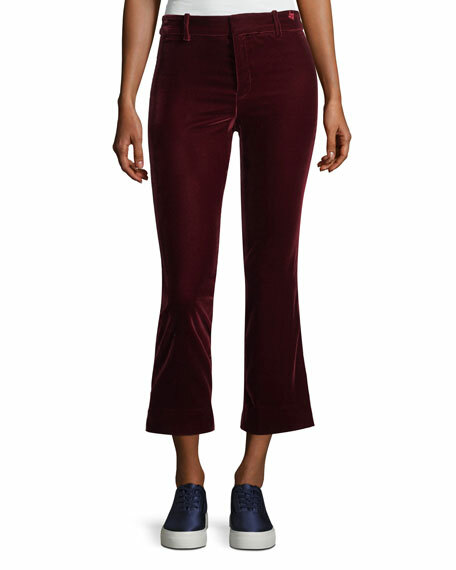 Derek Lam 10 Crosby trousers in stretch cotton with embroidered hem. Side zip pockets; back welt pockets. Mid rise. 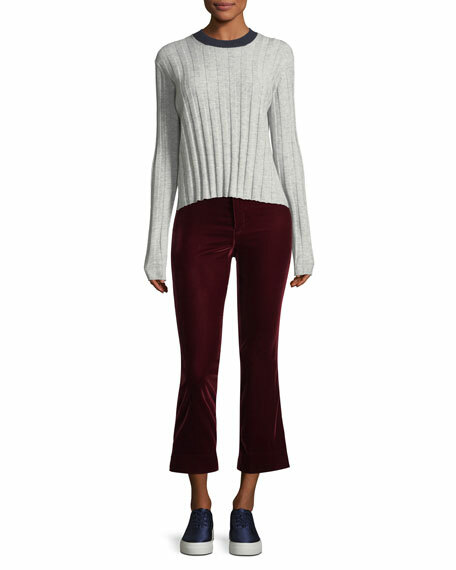 Cropped, flare legs. Front zip; belt loops Cotton/spandex. Dry clean. Imported. Derek Lam 10 Crosby dress with contrast topstitching. Crew neckline. Sleeveless. Shift silhouette. Flounce hem. Mini length. Back zip. Triacetate/polyester. Polyester lining. Imported. Model's measurements: Height 5'10"/177cm, bust 33"/84cm, waist 25.6"/65.2cm, hips 35.8"/91cm, dress size US 2-4/FR 34-36.